And now for something that has nothing to do with the Catskills, but is connected to riding. 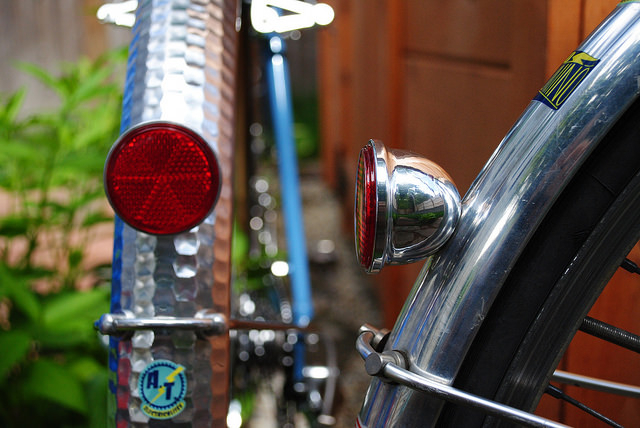 Allow me to make a shameless plug for my new business, Velo Lumino. The idea started last fall when all I wanted was a nice little integrated switch to control my generator lights from the stem, to finish off my otherwise complete Jeff Lyon randonneusse. 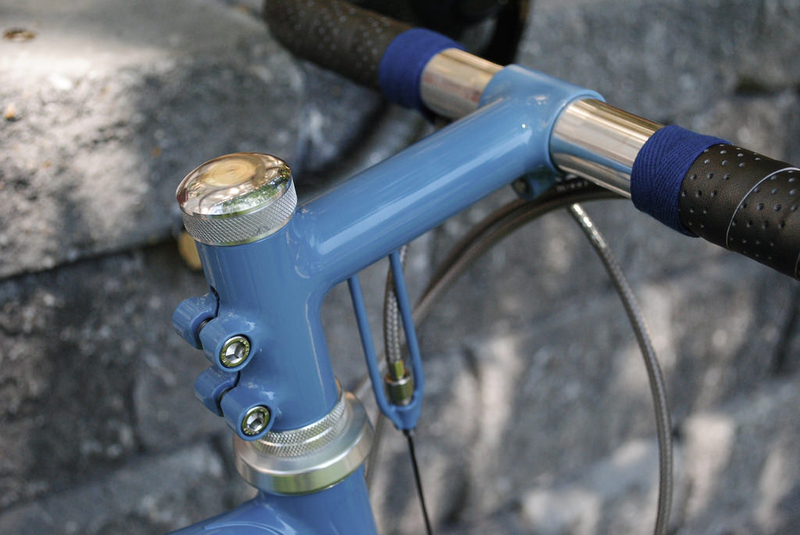 I knew that a few frame builders had made widgets for this sort of thing, in limited distribution to friends and customers, and Boulder Bicycles makes them exclusively for their Rene Herse builds. But I wanted a switch and didn’t feel like buying a new Herse just to get one (although I would love a new Herse!). So I teamed up with frame builder Tom Matchak with some ideas for a neat switching mechanism and Tom and I quickly came up with a nice integrated design that, in our opinion, is so novel, integrated and easy to install, we decided to make it available to the public. Along the way I also picked up 3D CAD modeling skills, and that started the proverbial avalanche of ideas that quickly made their way to small batch production. The current lineup includes the stem switch that Tom and I developed, an alloy fender taillight that I designed, and a front fender headlight mount, so you can mount that nice Edelux right on your fender instead of at the fork crown, in case you don’t have a front rack. More components are in development, and will be added by years’ end. All Velo Lumino components are made to last and to have a classic look. Hand made in the USA, and backed by a 3-year warranty. As for Catskills ride reports… alas I won’t be back until October when hopefully I’ll be able to document some really nice fall foliage rides. So for now, check out velolumino.com and also its companion blog, Electricalites A.T.. This entry was posted in Uncategorized and tagged components, dynamo, lighting, lumino, velo, velolumino on August 17, 2015 by somervillebikes.